Whatever word you use, the UO welcomes Ducks from everywhere, whether they come here from a faraway place or have ancestors who made the journey before them. And the university is always working to be an even more welcoming home to the students, faculty members and staff from the diverse Latinx community. Those efforts are paying off as Latinx enrollment has tripled over the past 20 years. And that growth has been accompanied by a similar expansion in the way Latinx students connect to the campus, their fellow students and the rest of the Latinx community. Take PATOS. Patos is Spanish for Ducks, but it’s also an acronym for Patos Avanzando Tradiciones con Orgullo Sobresaliente, or Ducks advancing traditions with outstanding pride. And it’s the name for an awards program recognizing the work being done by Latinx students, faculty members, staff and the larger community. 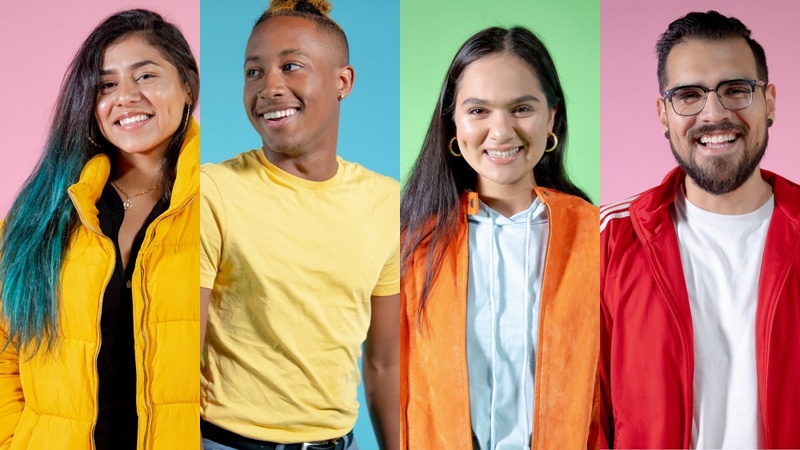 The university recently highlighted some of the work and visions of Patos and the entire UO Latinx community through an interactive spotlight story on its main webpage. Take a look to learn more about how the Latinx community is making its mark on campus. It shows how UO Patos create a vibrant community where each student, faculty member and staff member brings traditions, beliefs, knowledge and vision from the diverse cultures that make up the LatinX community. UO Patos or their ancestors hail from Mexico, Spain or countries in the Caribbean or Central and South America and come to the UO from all over Oregon, all over the U.S. and all over the world. Latinx students serve as leaders in myriad roles across campus, including LatinX student groups started decades ago and those recently begun in response to community needs. The student group MEChA, for Movimiento Estudiantil Chicanx de Aztlán/ChicanX Student Movement of Aztlán, began in 1964. It promotes higher education, culture and history. It was founded on the principles of self-determination and a belief that political involvement and education is the avenue for change in society. Muxeres started as part of MeChA in 1995 but recently became its own recognized organization. Its goal is to create a safe space for women of color to communicate issues affecting Latinx students on campus, within the Chicanx/Latinx community and in the greater society. The Latinx Male Student Alliance launched in 2017 with startup sponsorship by the Division of Equity and Inclusion. It works to provide academic, cultural, social and personal support for UO undergraduate Latinx male students. Latinx students take strong leadership roles campus student organizations. In 2018, Maria Gallegos-Chacon was elected president of the Associated Students of the University of Oregon, the student government body. Gallegos-Chacon is an ethnic studies major and daughter of Ecuadorian immigrants. With her leadership the ASUO initiates campaigns to improve student experiences, affecting 20,000-plus UO students. Latino Roots, begun in 2010, is an intensive, two-term course. First term: a formal classroom setting where students learn about the history of racial identity formation in Oregon. Second term: students enter the cinema studies lab for training in the use of audio-video technology and editing software and the art of documentary storytelling. Next up, students go out in the community and conduct audio and video interviews of the underrepresented life stories of Latinx people in Oregon for documentaries they create and showcase at an end-of-year celebration. The UO Puerto Rico Project: Hurricane Maria and its Aftermath started as a 12-month-long collaborative endeavor with students in the ethnic studies course Race, Ethics, Justice. Students used what they learned in the classroom to reach out to their community and beyond. Student teams also raised money to send a delegation to Puerto Rico to deliver donations and document stories in Caguas, Bayamón, Morovis, Utuado, Mayagüez, Santurce and Isla de Cabra. Weekly Tarea Time is for academics and community. It includes tutoring in English and Spanish, advising and connecting with an advisor, including the Latinx retention specialist. Since 2013, the Latinx Strategies Group has brought together faculty members, staff, students and community members to help mentor and advocate for Latinx students. They coordinate with networks of existing support and advocate for resources to increase Latinx student enrollment. The university supports all students, and that includes Dreamers. At the UO, “Dreamers” means students who are undocumented, participants in Deferred Action for Childhood Arrivals or from families with mixed immigration status or who receive tuition equity. The university is committed to promoting the safety, well-being and success of Dreamers while maintaining their confidentiality and identity. The UO Dreamer’s Working group helps Dreamer students and promotes their sense of belonging and safety. They also provide training that helps others better understand Dreamer student needs and experiences. More than 200 UO members have participated, including President Michael Schill, who has issued multiple statements affirming UO support of Dreamers. Latinx influence can be seen across campus in events such as Día de los Muertos, or Day of the Dead, the celebration of life and death that welcomes the souls of ancestors. It has been honored for the last 10 years at the Jordan Schnitzer Museum of Art, which this year welcomed a record-breaking crowd of more than 1,500 people.